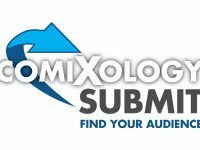 This week sees the latest instalment of Joe Benitez’s Submit series Lady Mechanicka: Tablet of Destinies hit ComiXolgy. 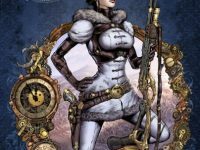 Mixing 90s bad-girl attitude with stunning steam-punk style and oh, so many cogs, we caught up with the former Witchblade and The Darkness artist to find out more his sultry cybernetic sleuth. 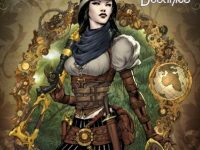 Former Weapon Zero/Darkness artist Joe Benitez’s beautifully rendered steampunk extravaganza returns to ComiXology Submit with a brand new adventure in Lady Mechanika: The Tablet of Destinies – a superb slice of Victorian-infused action rendered in Benitez’s trademarks extreme detail!